The say ‘never work with children or animals’. With its’ new upcoming TV show ‘Dog With A Blog‘ the Disney Channel will be doing both. 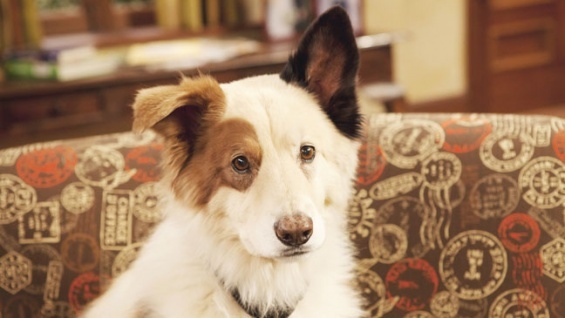 The show revolves around ‘Stan‘ – a talking, blogging dog. What’s more interesting to me is that Kuma – the dog playing Stan in the show will be doing his own stunts and action – no body doubles. Kuma has been trained by the ‘Good Dog Animals‘ training company. Easy: Break every screen shot into small components and train dog to perform the components individually using voice commands. Let’s say, a dog picks up an object lying on the floor and carries it across the screen. This will be accomplished with the trainer off camera sending the dog on screen and then signalling ‘Pick up’ , ‘Drop’, ‘Come’ at the right time. Sometimes large sequences are edited from small snippets of sequential commands. ‘But how do you train the dog to talk?’ I hear you ask – well, that is the part they leave to visual effect computer developers.